Book Club Picks: New Series Coming! As a book blogger, the most frequent question I get from friends and family is what books to choose for book club. So I've decided to start a new series here called Book Club Picks. 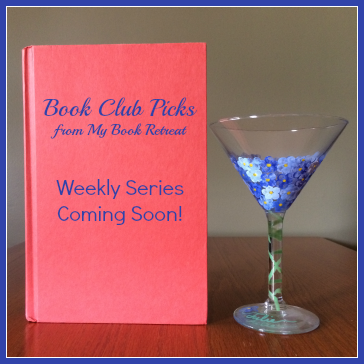 Each Friday, I'll write about something related to book clubs. Most weeks, it will be a list of book club recommendations based on a specific genre or topic, such as Contemporary Fiction or Memoirs/Biographies. But the series will also feature ideas for hosting book club, individual book reviews and much more. If you'd like to keep up with this series, I'm setting up a weekly newsletter just for Book Club Picks. You'll receive one email each week, which will feature my latest book club posts. If you're interested, sign up below. If you have any specific requests for posts in this series, please let me know! I'm starting with Contemporary Fiction next week, and have a few other ideas, but I'm open to all of your requests as well! Signed up! Congrats on the new series!! Very excited! Yay! I signed up for all your blog posts since we have similar taste in books! I look forward to the book club picks too. So exciting! Hope you have a fun book club! I'm hoping to start one at church in the fall! I can't wait.